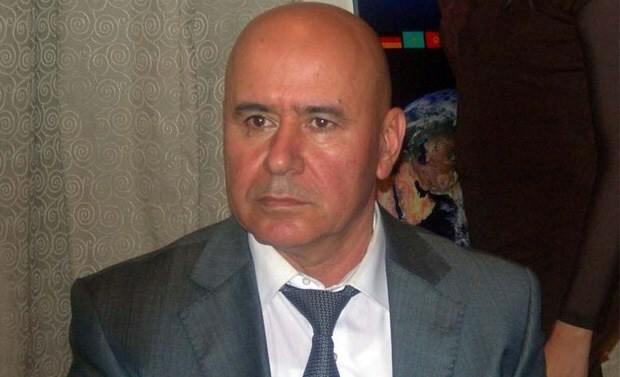 During the operation carried out by the Tajik government after this killing, resistance from the Ismaili militants in the town forced the government into a retreat after failing to capture any of the four men they had sought. Groups of men patrol the streets at night, trying to prevent another surprise attack by the government. Men loyal to the leaders – commonly referred to as “commanders” – say they have gathered weapons in preparation for another war. 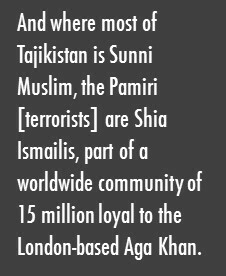 These are Ismaili Pamiri separatists, who are funded by Aga Khan Foundation and the AKDN to fight against the Tajikistan government. 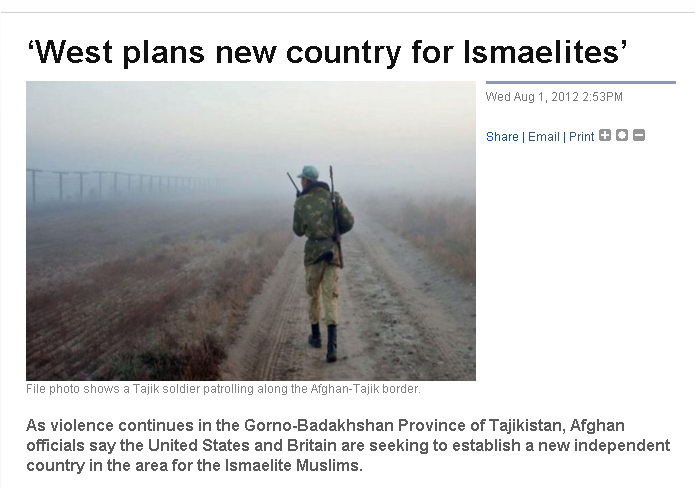 This comes at an unpropitious time for Tajikistan. In preparation for the withdrawal of U.S. and NATO troops from Afghanistan, the U.S., Russia, and other partners have been trying to help Tajikistan’s government bolster its shaky hold on the unstable country. Over the last several years, Dushanbe has managed to wrest control over most of Tajikistan from a variety of local warlords who still held sway as a legacy of the civil war that ravaged Tajikistan from 1992 to 1997. Khorog was to be the last step in that consolidation process. But the failure of last summer’s operation, and the hardening of resistance among the people of Khorog, has instead reversed that momentum. For most of history, the Pamirs were profoundly isolated, but came under control of the Russian empire in 1895. In 1925, the Soviet Union formally created the Gorno Badakhshan Autonomous Oblast and, mindful of its strategic importance near the sensitive borders with China and Afghanistan, took pains to develop the area and strengthen their hold on it. They built a “highway” and established pharmaceutical and textile factories there. 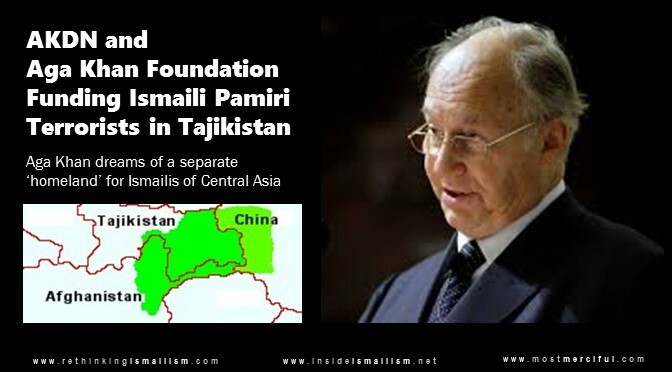 Soon after independence came in 1991, the country fractured on regional lines and Tajikistan broke out in a civil war. The Pamiris eventually lost, but as part of the peace deal that ended the war the Pamiris’ military leaders were given government positions. One, Mamadbokir Mamadbokirov, headed the border post with China and another, Tolib Ayombekov, a post on the Afghanistan border. Afghan MP Fouzia Kofi says subsequent to recent unrest in the Badakhshan provinces of Afghanistan and Tajikistan, certain domestic and foreign political circles are trying to prevent reconstruction of the historical Silk Road which can be the biggest economic highway for Afghanistan. 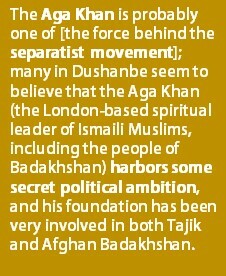 Meanwhile, armed gangs opposing Tajikistan’s President Emomali Rahmon have become more active in the country’s Badakhshan province. According to local sources, eight fighters from Afghanistan’s Badakhshan province were arrested in Tajikistan last week. Security officials in Tajikistan’s capital, Dushanbe, issued a statement on Tuesday saying that at least 12 government troops and 30 militants were killed in clashes near the town of Khorog in the Badakhshan region. This has been the worst outbreak of violence in Tajikistan since 2010, when 40 security forces were killed in a prison break.